Samacheer kalvi 1st to 5th textbooks PDF available for Tamil and English Medium. Books also available in Termwise. 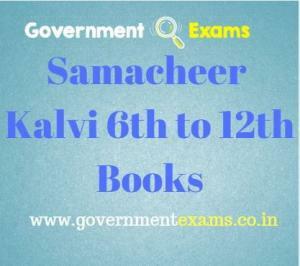 To download samacheer kalvi books, click the link – Samacheer 1st to 5th books. Students also searching for 9th model question papers and we upload in pdf. Also, we upload 10th question papers, 11th model question papers and 12th model question papers so that students can download and read it for their exam purpose.